There must be a place to host your event! 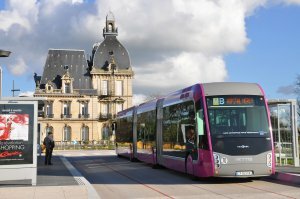 Metz Métropole offers a strategic positioning, in the center of Europe, which makes it an unmissable destination for business tourism. The area brings together a varied and qualitative range of services for the organization of congresses, conventions and seminars. In addition to a rich hotel park, the city also offers different sites for hosting events of various sizes. in French / in German/ in English. In addition to the presence of major brands (Nespresso, Galeries Lafayette, Printemps, ...), independent retailers offer a complementary offer, sometimes atypical, such as the one you can find on Taison Street. No wonder that Luxembourg and German cross-border commuters travel to Metz for shopping! The interconnections and intermodality between the different means of transport make it a real agglomeration network, whatever the users and the sectors concerned. The network is complemented by a bike offering, car sharing and dynamic real-time information. Functional and spacious articulated vehicle, METTIS circulates in its own site: real spine of the network LE MET '. Neither bus or tram, this is a BHLS (Bus with High Level of Service) which will allow you to move easily and to connect all the places impossible to circumvent during your stay.